This book was condescending in every way. It had a pretext of choose your own Hero but there was truly no way anyone with a brain would have chosen Damian he was abusing the heroine from the beginning. It was disgusting. 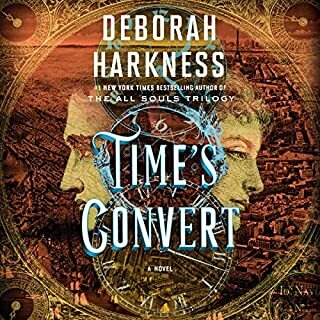 Deborah Harkness wrote an amazing book! I have listened to other books narrated by Saskia Maarleveld and she did a wonderful job, in this case however, I feel she was out of her element. She had one strike against her out of the gate, fans were expecting Jennifer Ikeda. The other issue she has for books like this in the future is over kill with some dialects and not enough emphasis on others. I would love to hear Jennifer Ikeda read this book, I would buy it again. Really great story with a great plot line and flow. The narrator was incredible with great voices and accents. I am really impressed with this story so much so that I bought the other books in the series.